Springs are used in nearly every industry. Stainless steel is one of the most common spring materials because of its durability, resistance to rust and high yield strength. Steel springs are made from wire that has been hardened and tempered to suit the needs of the spring it will become. It starts as a large metal bar, usually weighing several hundred pounds. As it is heated for malleability, the steel is drawn through a series of dies that gradually decrease in size until it reaches the desired diameter for spring manufacturing. Stainless steel extension springs are at rest when coiled tightly. They exert the most mechanical energy when extended. 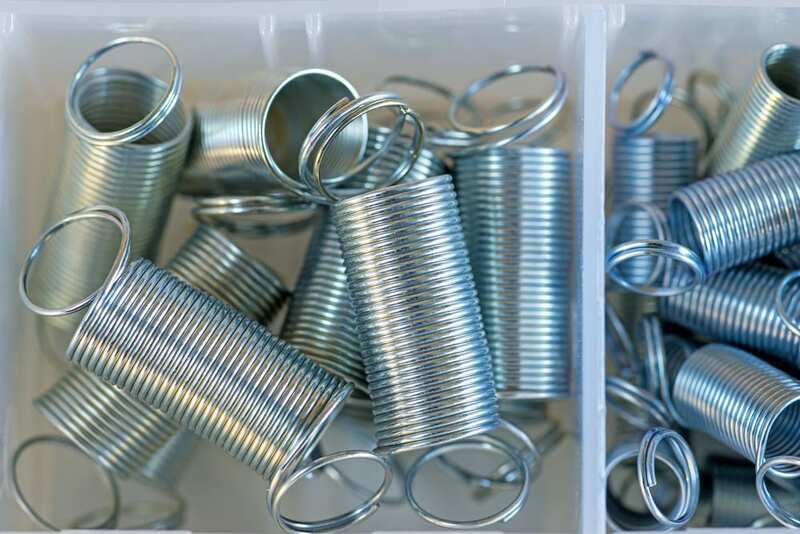 Working the opposite of extension springs, stainless steel compression springs contain the most stored energy when compressed and are at rest when fully extended. Stainless steel torsion springs are also tightly coiled but, unlike extension springs, their force is created by twisting, or torque. Applications for stainless steel springs can be found in a wide variety of industries. Their uses include automobile carburetors, construction tools, farm machinery, fitness equipment, medical devices, aerospace and defense mechanisms, electronic and telecommunications components and toys. James Spring & Wire Company has been dedicated to providing superior customer service and delivering high quality products since 1960. Our extensive industry knowledge, coupled with decades of experience in the design and manufacture of custom stainless steel springs, makes James Spring the most reliable partner for your spring needs. Contact our engineers to discuss your project or request a quote.